How could I resist this price!!? 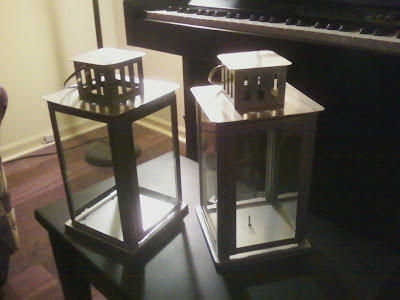 That's right, $1.50 each for these 11" lanterns (regularly $6 each). 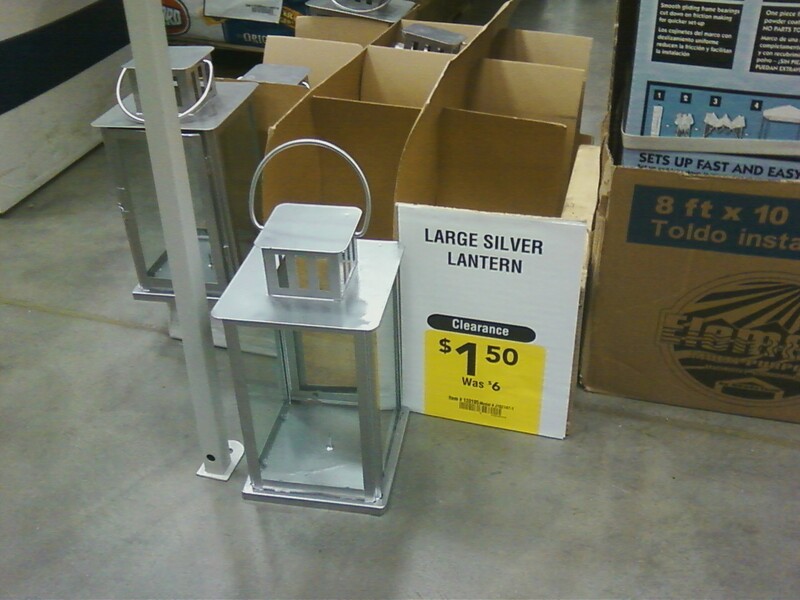 I believe that's about 75% off. I ended up buying 4 of them. (Thanks for the added inspiration Ramblings of a Suburban Mom.) Later, I also had to go to a different Lowe's for some supplies, and they had the same lanterns on clearance, but their clearance price was $3 at that location. Not totally sure what I am going to do with them, but I have several ideas... I love stumbling on deals, don't you? I love them!!! Great score!!! Hope you didn't scoop them all up at the New Hudson/Milfords Lowes, because I'm practically on my way...!!! Score! Is Nostalgia Worth .98 Cents?